Specific strategies for job customization and job carving. 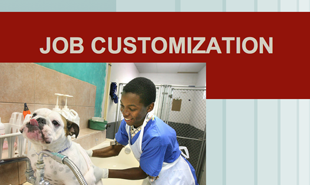 Discusses the art and science of job customization and job carving. Individualizing jobs and creating good matches is a key for both job placement and job success for people with disabilities. This topic provides specific strategies to organize the tasks that an employer needs to have done and then discusses how to “talent-match” to the skills and interests of a worker.